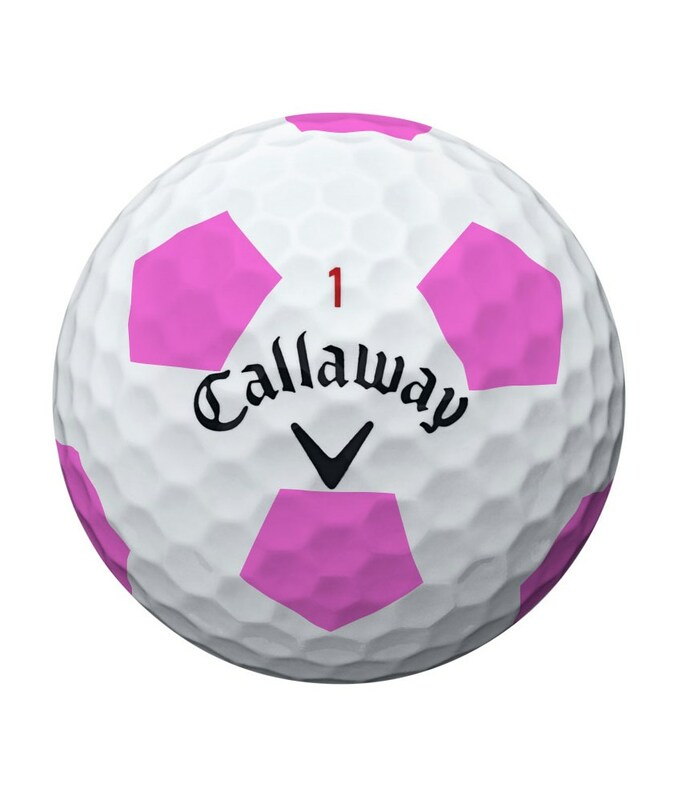 Love callaway balls. I’m a lady golfer playing off 16, great soft feel and distance. These are fun just for a change. I used to use pro v's but since trying Truvis would only use these balls. The best ball with a reasonable price. Dont feel like using Tittleist any more. Very good alternative ball to other premium balls and visually outstanding. Perfect for slower (inc Ladies) swing speeds. 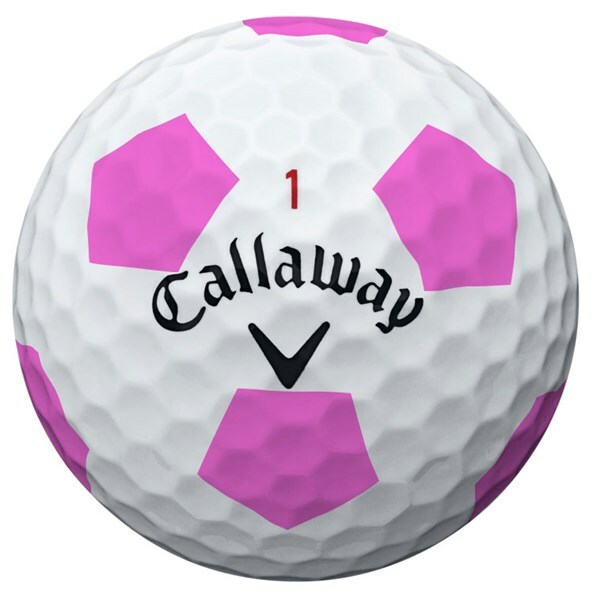 The Callaway Chrome Soft Truvis Pink Golf Balls look great but also serve to help you concentrate and focus on the ball and make better contact. 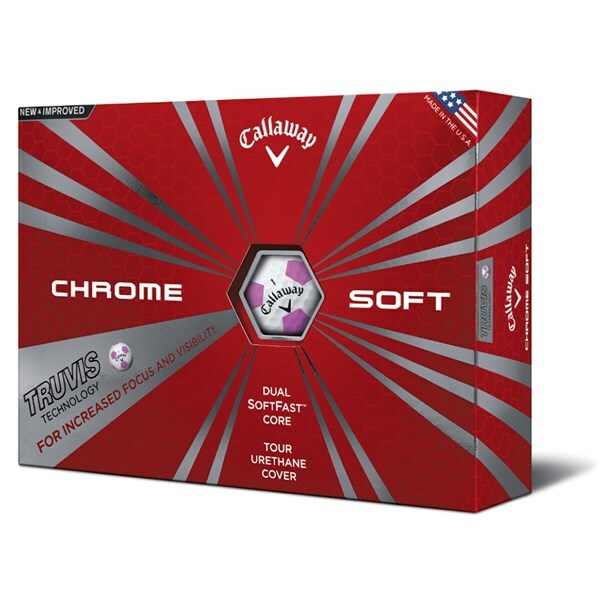 Callaway have used their Truvis technology in the premium Chrome Soft golf ball so that you can benefit from using a tour level golf ball and gain the control, accuracy and spin of a tour pro with the help the distinct Truvis pattern. To maximise distance off the tee, gain control from the fairway and add accuracy to your game from 100 yards and in for better scoring Callaway have combined a 4-piece construction and Dual SoftFast Core. Increased Focus and Visibility - The yellow and black Truvis pattern is specifically designed to maximize your view of the golf ball for better focus and visibility. 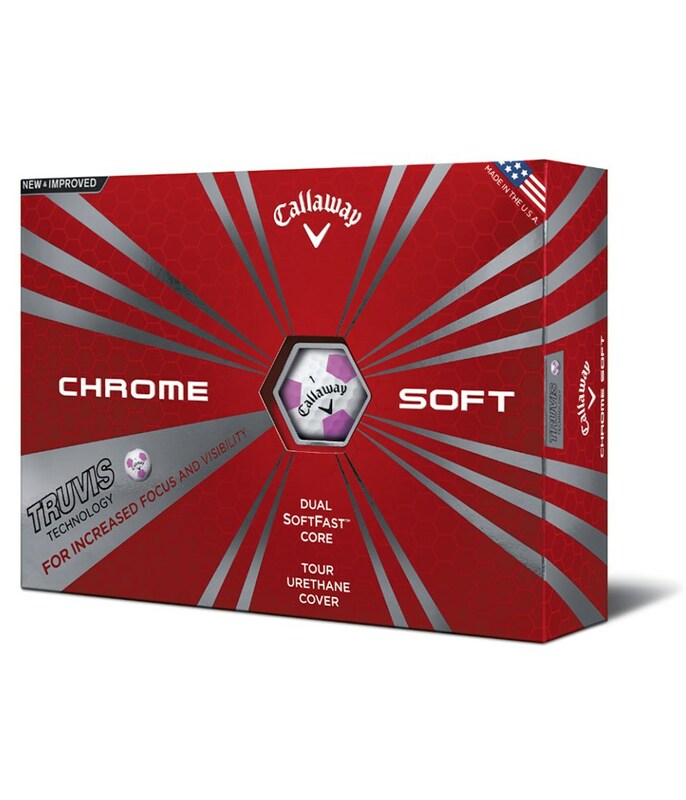 Fast Ball Speeds - Callaway is the only golf ball company that has the new Dual SoftFast Core™. It’s engineered for fast ball speeds with low spin for players needing spin reduction to optimize their launch conditions off the tee. Total Performance Through The Bag - The 4-piece construction, mantle layer and Tour Urethane Cover all combine for even more control throughout the bag, especially with your scoring clubs from 100 yards and in. Now you have even more spin for aggressive shots into the green. Low Compression For Incredibly Soft Feel - The Dual SoftFast Core lets you compress the ball on iron shots for long, straight flight. And it has amazing feel around the greens.